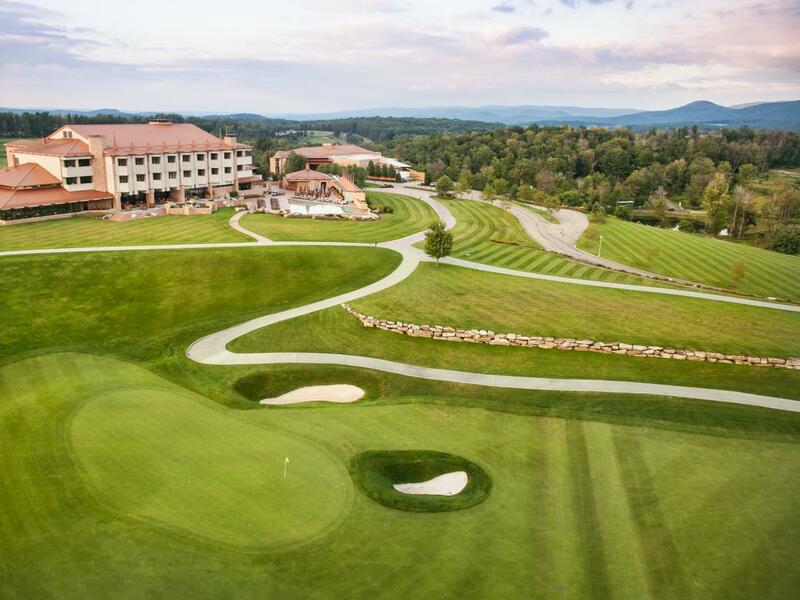 The road to Pebble Beach starts at Nemacolin Woodlands Resort on May 20th! The National Kidney Foundation Konica Minolta Golf Classic is the nation's Premier Amateur Golf Event for Charity. Each year thousands of golfers from across the country participate in over 30 events across the U.S. for the exciting competition and the chance to earn an invitation tot he National Finals at Pebble Beach - while raising over $3.5 million for the NKF. Put together a team of your regular foursome, or entertain clients, and get ready to play at the luxurious Nemacolin Woodlands Resort. For the first time ever, NKF Serving the Alleghenies is thrilled to offer a sporting clay tournament! Follow the "SPONSOR" link above to view the various registration options and packages. For golf, your team can enter either the Handicap Index Division or Gross Division, providing you and your guests with a competitive yet social day of golf whether you are a low handicapper or new to the game. Each Handicap Index Division team can have one player with a handicap index of 8.0 or less and the total combined handicap index for your four players must be 42.0 or more. The Gross Division is for teams whose golfers do not have an official USGA Handicap Index or do not meet the above Handicap Index requirements. The top-3 finishing teams in both the Handicap Index and Gross Golf Divisions from every NKF Konica Minolta Golf Classic are invited to compete in the National Finals held at the famed Pebble Beach Resorts (additional fees required). If the upcoming U.S. Open or the U.S. Amateur is not in your future, this three-day tournament may be your only chance to compete for a national championship at the beautiful and challenging Pebble Beach Golf Links, Spyglass Hill Golf Course and The Links at Spanish Bay, January 2020! For sporting clay, teams of four will be split into two flights. Those foursomes also golfing will participate in an earlier round as to finish in time for the golf shotgun start. Groups only participating in sporting clay will begin in the later afternoon flight in order to end around the same time as those golfing. Specific start times will be shared in the upcoming weeks. There are no national finals for sporting clay. Check back for the link to our Silent Auction powered by GiveSmart mobile bidding system! Don't miss out on some awesome auction items just because you can't make the event! Bid via the link that will be provided above! All shipping/postage fees associated with winnings are the responsibility of the winner. We could not put on our events without the help of our Board of Directors, Leadership Committee, and incredible volunteers. If you are interested in volunteer opportunities on our board, committees, or with this event, please email Rachael Masterson at Rachael.Masterson@kidney.org. A reminder that this event is in Farmington, PA - volunteers need to be willing/able to travel to the event site. Photos of the 2019 NKF Konica Minolta Golf Classic will be made available by link here within 2 weeks after the event. Please check back then.